Sometimes the simple things are the most effective, and this is true of our lovely potted jasmine plant. The vibrant green leaves add a splash of fresh colour, while the striking shape adds a jovial touch to the arrangement. And of course jasmine has a distinctive fragrance, providing a delicate and yet exotic scent that will subtly fill a room. The green climbing plant looks wonderful contrasted with the silver painted metal container, which is tied with a complimenting lavender ribbon. 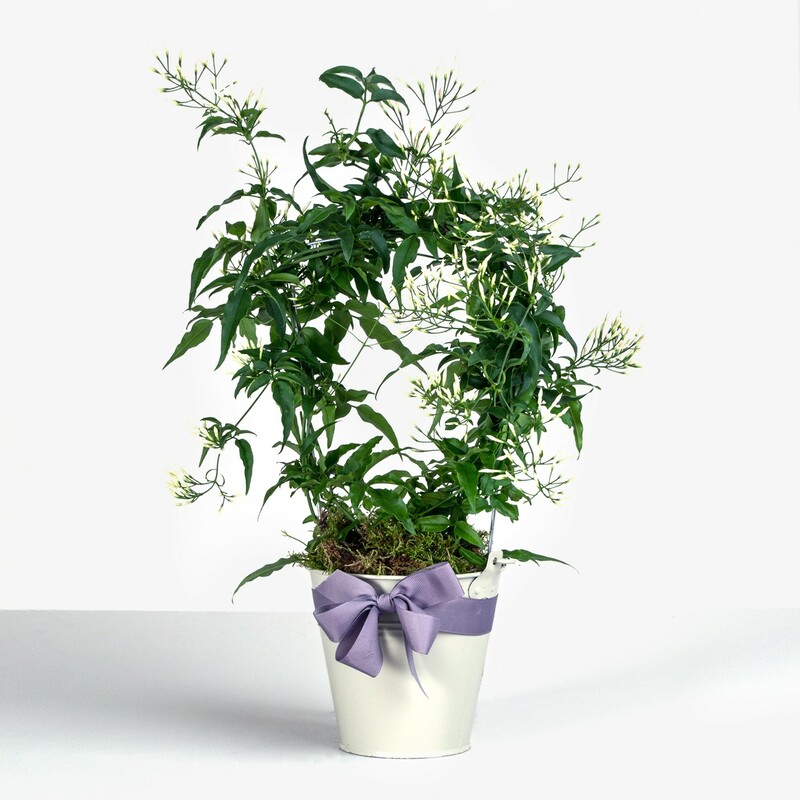 The jasmine plant will be very happy indoors, making it the perfect gift or addition to your home.